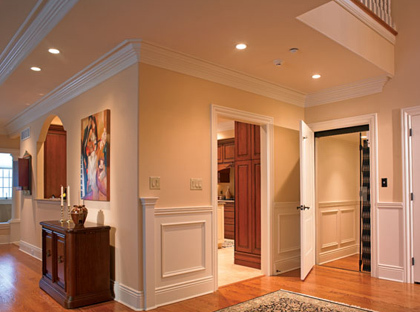 Elevators & Stairlifts – David Leech, Inc.
Over the past few years, as we’ve been listening to our clients’ desires and building their dreams, they’ve shared with us that they’ve been giving serious thought to how and where they will live as they age. Without question, the vast majority want to stay in their current home as long as possible. And several of our clients have said that they would like to be able to provide care for a parent or relative in their own home. We began to do some research, and here’s what we found. Recent AARP survey results show that among those age 45 and over, four in five say they would like to stay in their current residence for as long as possible. Eighty-five percent of AARP survey respondents currently own their own home. They feel that even if they need help in caring for themselves, they would prefer to receive help in their home. 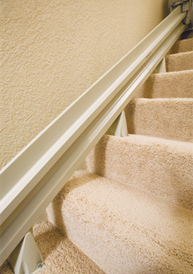 The biggest concern they cited about activity in the home is going up and down stairs. We found that the current term “Aging in Place” refers to being able to stay in our present homes–typically NOT in an assisted living environment or nursing home–using products and services which allow us to remain at home as our circumstances change. 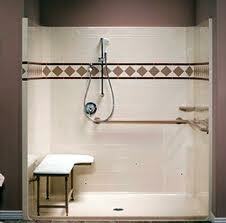 We can continue to live in the home of our choice safely and independently as we get older. 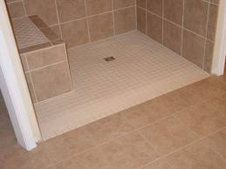 And we at DLI realized we were in the perfect position to offer this “Aging in Place” option to our clients by providing a wide range of modifications that would allow them to remain in their present homes. These modifications allow for independence and provide flexibility to adapt to changing family dynamics–everyone’s wants and needs can be accommodated and allowed for. 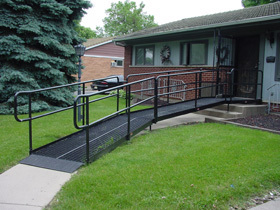 Often, adding some type of accessible modification is just what home owners require to make their home safer and easier to enjoy by all family members. 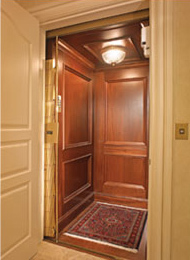 As negotiating stairs seems to be the most challenging activity, installing an elevator or stairlift is an ideal solution. 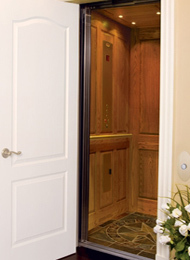 Surprisingly, the cost of adding a residential elevator or stairlift is not as expensive as one might think, with stairlifts beginning around $3,800. and elevators ranging between $60,000. to $80,000., including construction of the elevator shaft. Presently, the cost of residing in an assisted living environment or other health care facility typically ranges from $3,000. to $6,000. per month. Often the emotional expense of having to leave a beloved family home feels far higher. 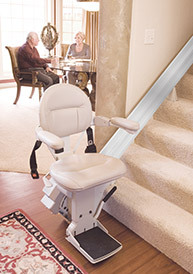 To support our clients in their desire to “Age in Place,” David Leech Inc. is teaming up with one of Oregon’s leading residential accessibility dealers with over 35 years of experience in improving the lifestyle of those of us with physical challenges. Together, we’re able to offer a responsive, client-centered approach to assess, consult and provide the best solution to your accessibility wants and needs. Please allow us to support you in maintaining your freedom and safety within your own home by contacting us today.